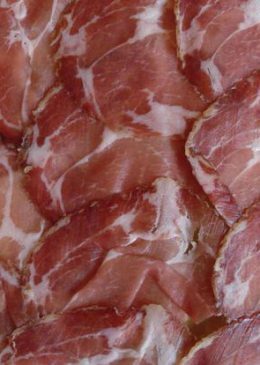 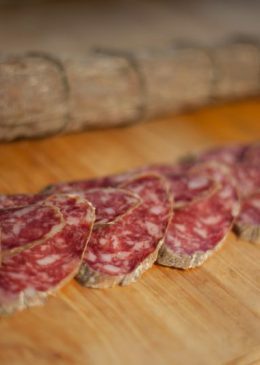 Culatello di Zibello is a typical product of the “Bassa Parmense”, a strip of lowland located along the Po River and characterized by long, cold and foggy winters, and very hot summers. 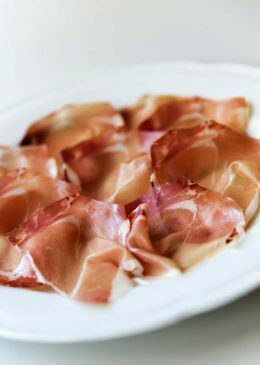 Culatello di Zibello is made from the back of the pork’s leg, a good balance of fat and muscle, classicly pear shaped, with the addition of salt, pepper, wine and garlic. 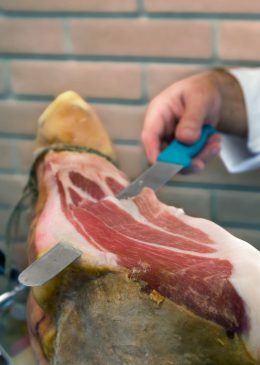 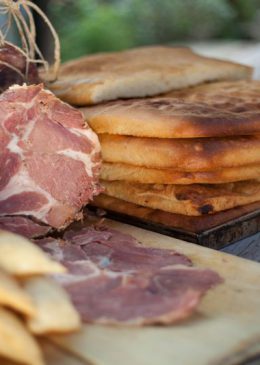 Only eight towns placed on the banks of the Po River can produce Culatello di Zibello: these places create Culatello from the fog, in humid cellars, giving it the original and unforgettable taste. 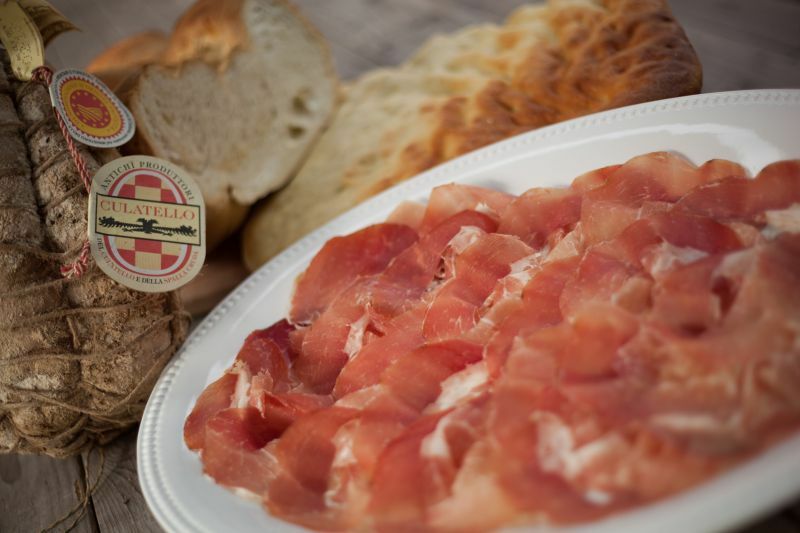 Such a specific microclimate intensifies the scents and the unique taste of Culatello di Zibello, giving the product a soft and velvety sweet flavour, an unmistakable and incomparable flavour.